Barry? you're the ones saying these games always sell out well before kick-off so you must have a fair idea as to what numbers may or may not be enough. Sounds like in this instance it was well short. Anyway, I'm sure the buyer is happy with his £16 purchase, and the under bidders will be poised at their keyboards waiting to engage in another bidding war should a further copy surface on ebay, which no doubt it will. Yes it was well short but no fault of ours. We printed more than we usually do and extra 50 for internet buyers. 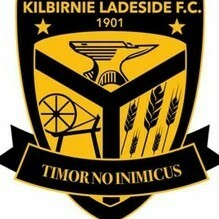 Always found it odd that a club like ladside don't do i programme . I assume you have one or two people who can put one together but just as a club you don't see it worthwhile ? We did a really good programme untill aboot 3 or 4 seasons ago but like a said mate,its sometimes a hellava lot of pain for little gain with them. The club has an email now for fans with news,upcoming fixtures,quotes fae the managers,match reports,upcoming fundraisers etc,even has photies sometimes and has got sponsors,really well done and informative.Does the job. Does your club do Player Sponsorship? This can work when using a programme and is a great income. Even if you got 10 ads at £50 each that would pay for all printing for season so any sales would be poor profit. I remember i had a pile of ES Clydebank programmes from 60s, I gave them away later found out they were worth a fair bit ! Didn't have a clue who they were till i did some digging . Oh RRG I'm nearly greeting here , only need about six for their complete season in 64-65. Most I've paid for a programme was £65 for Es Clydebank v Sunderland and that was cheap. "Barry" was in further reference to the Chuckle Brothers. I thought it was apt so I used it to refer to you. Hate having to explain a joke! Regarding some of the earlier posts which are critical about underestimating the number of programmes remember there are worse things in life................................like when a club underestimates the number of pies. Who said it was a Talbot fan that bought it. Also do you not think that 170 copies was fine when the crowd was estimated at around 400. My sides, you really are a pleasure to debate with, do you get your insults from the Beano? Underestimating pies is much, much worse. Depends who you are. Arthurlie undermasted their pies against us and were selling them at half price near the end of the game. Somebody had to be a winner. Bet your scales don't under estimate your figure. At the end of the day you printed off x-amount of programmes and they sold out which is great. If someone on e-bay payed £16 for one that was their choice I really don't see what all the fuss is about I am sure the person who bought it is happy enough or they wouldn't have payed that amount and the seller is happy because they made a healthy profit on it which is going back into the club, mountain out of a mole hill here. Very rare for me to agree with Beaver, but hit the nail on the head. Three pages on here for a frigging programme? Jealous minds, maybe, as Alvin Stardust once said? There's always a silver lining! Not really, the original point remains, demand outstrips supply (as it always does at these games apparently) and people who were at the game missed out, and if they really want one now have to cough up £16, not a great situation really. It would have been great if Talbot had printed enough to meet demand (or done a reprint) which was my initial first post on the thread and a pretty fair observation I think. I guess if the Talbot followers didn't blindly attack every single thing that they perceive as criticism, then it wouldn't run to three pages. Well isn't life a bugger.